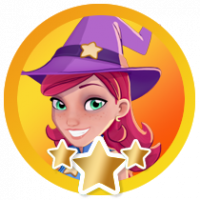 Discussion Can you earn 3 stars in level 810 in Farm Heroes? I can't even pass with 1 star. 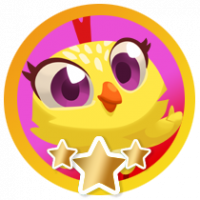 Can you earn 3 stars in level 810 in Farm Heroes? I can't even pass with 1 star. I am almost ready to quit. I have spent over 20K beans on shovels and lots of gold for boosters trying to pass this level. It is too difficult. I don't even get close to completion. Please help. I needed about 12 shovels, 2 tractors, and multiple Add 1X with the Gather boosters. Finally finished it. I am so tired of paying money to play this game, but I cannot stop. I Need Help! I am very sorry that your Question was slipped and you have not received any Answer. I have just noticed it and thought of saying "Hello" to you! Since your Question was posted 4 years ago, I am guessing you must have finished all the levels and waiting for new levels now!! Please do come back if you need any help in future as we have improved & better working Community. All of us who help around and answer here are your fellow players of the King Games. There are many of us and your Question will not be missed again in future. Once again I apologize for missing this post & Thank you for understanding! Porquê minha trilha dos boosters simplesmente desapareceu?